What is the Strengths Approach? I’ve dedicated most of my professional life leading multiple, successful sales and management teams. In my first year delivering new Strengths-based leadership approach at Pfizer, my team won the coveted President’s Club Sales Award during a year of significant change and uncertainty. My teams increased productivity, sales, and profitability while job satisfaction, employee engagement and retention soared during an unstable time for their company and industry. Strengths-based awareness has taught me to be the best leader I could be. It’s transformative, it’s empowering and I want others to benefit from my experiences as I had an “Ah ha” moment a few years ago when I heard a past teammate that I strengths coached speak at his father’s funeral. In his eulogy, he beautifully spoke about his personal strengths (in StrengthsFinder terms) and shared how those particular strengths came from his father. It was powerful. It was moving. In paying homage to his father, he chose to frame his message with insight from our StrengthsFinder coaching. I couldn’t believe our coaching time years prior continued to have meaning for him, especially at that level. All too often, our natural talents go untapped. From the cradle to the cubicle, we devote more time to fixing our shortcomings than to developing our talents and strengths. 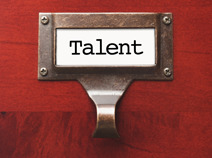 Talents are the basis for approaching a person’s full potential. Once dominant talents are identified, a person can thoughtfully appeal to them and determine how often they will be expressed. Once dominant talents are refined with knowledge and skills, they can become strengths. The more a strength is exercised, the more integrated and strong it becomes. For 10+ years Lisa Ames and Catalyst Consulting Group have been helping people understand, develop and build upon their Talents and Strengths. 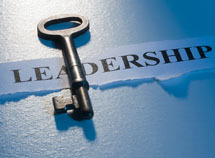 Do you know and leverage the three keys to being a more effective leader? 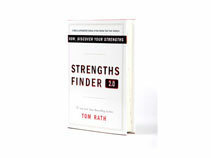 Strengths Based Leadership identifies three keys to being a more effective leader: knowing your strengths and investing in others' strengths, getting people with the right strengths on your team, and understanding and meeting the four basic needs of those who look to you for leadership. Leveraging the outputs from the Strengths assessment, Catalyst Consulting Group will help plot the strengths of your team associated with the four domains of leadership and provide specific strategies for leading with your strengths. The StrengthsFinder training and Action Planning Session you delivered for our leadership team was simply outstanding. Your passion and understanding of strengths and why and how it works is clear and inspired our team to come together quickly and learn. Lisa is a dynamic coach that helped the individual members of our team see how they could most contribute to our team objectives. 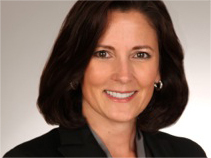 Through Lisa’s strengths coaching and training, she enabled us to be more effective as a team. Lisa is a passionate and effective coach that quickly builds trusting and accountable relationships. Lisa has great insight and knowledge of the StrengthsFinder offerings that significantly increased the relevance of my assessment results. Lisa Ames, an east Cobb resident and owner of Catalyst Consulting Group, aims for the positive and helps others do the same. As a Gallup certified professional strengths coach, Ames helps her clients achieve greater success in their lives, careers and businesses. Ames utilizes the StrengthsFinder Assessment produced by Gallup, an industry leader that has studied human behavior for over 50 years. 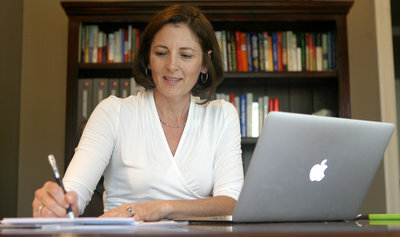 Read more: The Marietta Daily Journal - She Ames to succeed.